[ Angela Burdett-Coutts, Vitorian philanthropist. ] 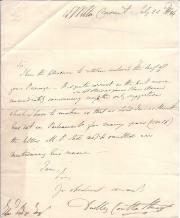 Autograph Letter Signed to 'Miss Duff Gordon', with studio photograph. Letter from Holly Lodge [ Highgate, London ]. 20 May 1896. Photograph undated and unattributed. Letter: 1p., 12mo. In good condition. Written in a difficult hand, regarding 'Tickets' for a 'really remarkable Show'. Photograph: 9 x 6 cm. Sepia. In good condition, laid down on paper removed from album. Depicts Burdett-Coutts, in Victorian finery with bustle and veil, seated at a table, with gloved right hand pressed to her cheek (not found on Google images)..
[Thomas Coutts & Co., London bankers.] Manuscript Letter from the firm (signed 'Thomas Coutts & Co.') to John Hankey of the London banking family, expressing 'much surprize' at his firm's treatment of a bill from Lord St John. Strand [London]. 17 July 1790. 2pp., 4to. Bifolium. 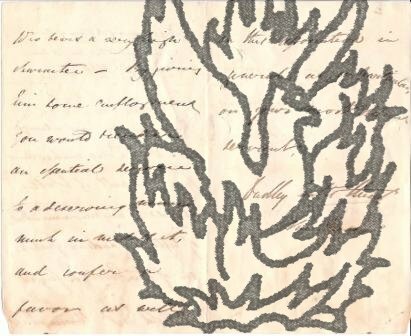 Addressed on reverse of second leaf 'To | John Hankey Esqr'. In fair condition, on aged and worn paper. Three Autograph Letters Signed and an Autograph Note Signed (all 'David Murray') from the Scottish painter Sir David Murray to 'Mr. Mann'. 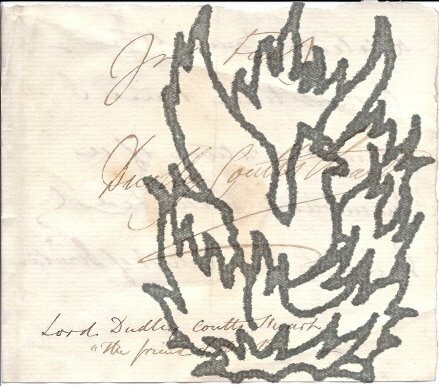 Three of the four items on letterhead of 1 Langham Chambers, Portland Place, London; the fourth from the Old Red Lion Hotel, Bolton Abbey, Skipton, Yorkshire. 1898, 1899, 1901 and 1905. All four items in fair condition, on lightly-aged paper. All written in Murray's distinctive wavy hand. 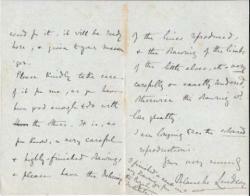 Letter One: 15 December 1898. 3pp., 12mo. He begins by asking Mann to 'send the proceeds for the enclosed cheque into the proper hands to discharge my debt for the pencils'. He 'had to run down by night mail on Sunday night & back on Monday night, to attend the funeral of my dear old friend James Muir who died after a very short illness'. He expresses sympathy for 'Poor Brough'. 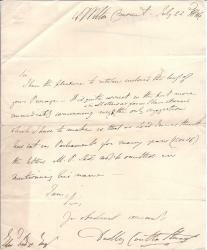 Autograph Letter, in the third person, from 'Baroness Burdett-Coutts' [Angela Georgina Burdett-Coutts] to 'Mr. 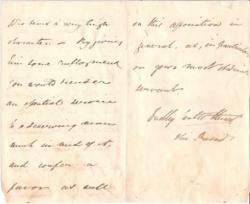 Johnson', regarding 'the seal of the late Bishop' and the memorial to 'her old friend Dr. Hill'. Stratton Street, London. 4 November 1885. Autograph Letter Signed ('Dudley Coutts Stuart | Vice-Presid[ent]') from Lord Dudley Stuart to James Wyld, Member of Parliament for Bodmin, as Vice-President of the Literary Association of the Friends of Poland, on behalf of a Polish refugee. 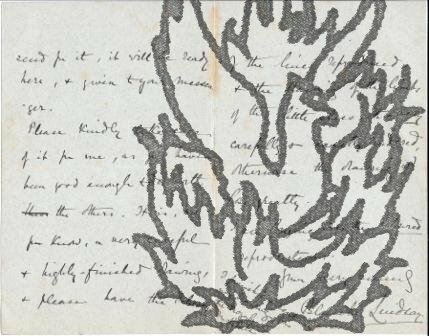 3 April 1840; on letterhead of the Literary Association of the Friends of Poland, Sussex Chambers, Duke Street, St. James's. 12mo, 3 pp. Text clear and complete. Worn and aged, with pinholes and unobtrusive repair to closed tears. The 'kindness' Wyld has 'always shewn to the Poles' makes Stuart sure that he will attend to his recommendation of 'Captain Thadeus Grubski, one of the Polish Refugees who bears a very high character'. By employing him Wyld would 'render an essential servie to a deserving man much in need of it, and confer a favor as well on this association in general', and on Stuart in particular. Unionist politician, husband from 1881 of the heiress to the banking fortune and noted Victorian philanthropist, Angela Georgiana, Baroness Burdett-Coutts (1814-1906), whose name he adopted. One page, 12mo. No more than a dozen words. Bad handwriting. 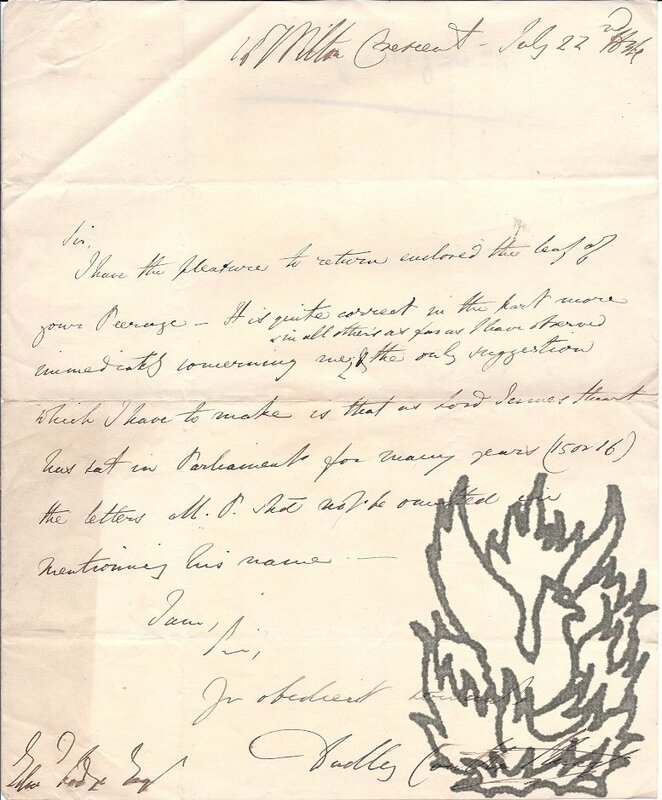 "Dear Sir / Could you send this note <?>". 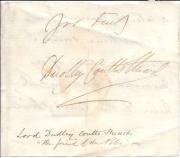 Signed "Burdett-Coutts".